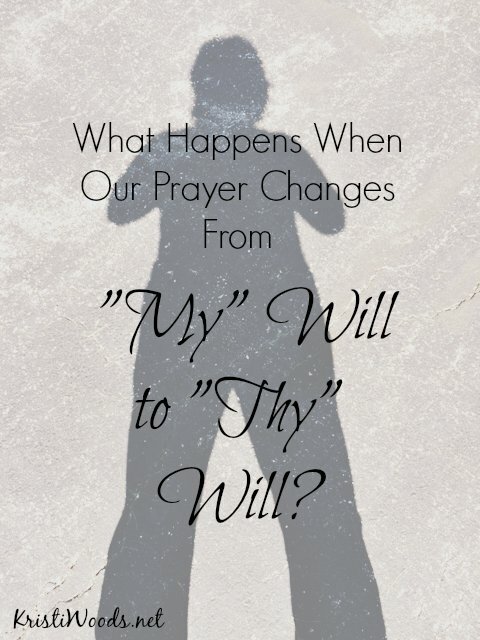 What Happens When Our Prayer Changes From “My” Will to “Thy” Will? “Will you pray for us, Kristi? We’re hoping to get orders to Northwest,” my friends requested as we exited the small white church, the grey sidewalk guiding each of our steps to awaiting cars. Northwest was a military base, an easy commute for their country lifestyle. It made sense. We were both Navy families and had bonded almost instantly upon arrival at the church two years earlier. But it was now time for new orders. There was no guarantee we would be together much longer. Eyes went wide, gaping mouths did too. Over their now-open car doors, they stared at me in bewilderment. Their prayer request had been silenced. They didn’t appear completely convinced. A mumbled thanks surfaced in the silence as their eyes unlocked from mine, and they slid into their car. The clank of doors closing and an engine roaring to life filled the air. Their car’s tires crunched across the stone parking lot, their rubber exiting onto the country road. It was the juncture of a new prayer journey. Their route had just changed. Championing my friends toward God’s plan was easy. It was their lives. But when it comes to my own life, it doesn’t always seem that easy. Maybe you’ve been there? There’s sacrifice involved, laying down my plans for His. Because we all know they don’t always mesh. Just ask Jonah. Uncertainty might come into view. Raise your hand if your flesh, like mine, wants a crystal-clear view of the road ahead. Or maybe it’s certainty, a self-professed Jonah-esque confidence that seemingly knows…and doesn’t like…the outcome. Anyone care to comment strong-willed? Regardless of the cause, Jonah ran from the LORD. And it was a mess. Running from the Lord, like a toddler with chocolate pudding, smears the clear complexion of faith. It’s dark and messy. But to trust and run with God? Oh my…. How we will run and impact the lives of others for God’s glory! And how we’ll be changed in the process. Jonah, after he turned and headed to Nineveh impacted lives in more than a whale of a way. My friends could have championed Jonah in their situation. Northwest dangled and looked good. Oh, how easy to pray its way. But my friends, in the midst of changing their prayer from “my” will to “Thy” will, found a treasure. They laid down their Jonah and rose with Jesus. They found Sigonella. Miles away, an ocean and time zones apart, they found “home”. Their new duty station filled them and reciprocated others with new worship, new friends, and new life. It was good, and it was growth. And Jonah? Lives were saved squarely in the middle of God’s will. Is there anything more to life? All it took was a little trust. Where are you placing your trust today? Is it in “my” will or “Thy” will? Are you laying down your Jonah, rising with Jesus instead? Lives very well might be changed. Oh my! I needed this today…. 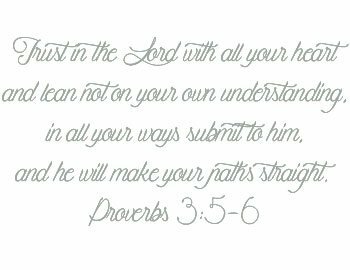 “But to trust and run with God.” I really need to examine my heart – I believe that I trust Him….but do I run WITH Him? Do I believe He has my best interests in the end? Challenging questions for my heart. Love that you stopped by and the words ministered, Sarah. God is good. Love that prayer, Tyra. Walk on. You’ve got this. 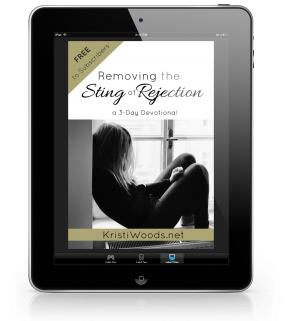 Kristi…what an AMAZING post! you are such a fantastic writer! I am inspired every time I read your work. The subject of your post is so thought provoking. 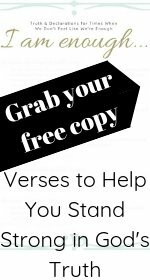 I am reevaluating ” my” prayer requests as I write this! My desire is to be directly in the middle of God’s will for my life so I want my prayers to reflect that too. Thank you for sharing your God given talents in this beautiful post. May God bless you and yours. Have a wonderful week! Horace, the encouragement is making my heart sing. Golly, if you knew how much fear I faced (concerning writing) this past year. The ONLY thing that kept me pressing forward was a knowledge that this is ministry…for Him and called by Him. What can fight that, right? And what can be better than praying for and walking in His will? Nothing. Thanks for stopping by. You’re a blessing. Oh, Kristine…me too. Me too. Thank goodness our God has a vision far-reaching. This is good encouragement for me today, Kristi. I heard a message this weekend on prayer that challenged me to renew my commitment to praying. Good to remember that ultimately we’re praying for HIS WILL, not just our own! I always love hearing what you up to, Betsy. Pray on, sister. It is a place of blessing. Oh yes! Thy will- it’s so easy to get distracted from His will and plans the more the day progresses. So this is me putting my hand up too, lol. I’m thinking I need to get out my trusty post-its and plaster those two words up all over the house to fuel my heart to keep running to Him first at the mere mention of any decision or question or doubt. Small words containing huge potential! Thank you, Kristi… as always, your posts aim a little better focus to my faith. Thy will. Oh yes. Thy will. Amen! Our plans just seem so much better. The book of Jonah has many interesting scenarios. One of my favorite verses that I just noticed the other day is verse 2 in chapter 2, “I cried out to the Lord in my great trouble, and he answered me. I called to you from the land of the dead, and Lord you heard me!” He prayed this while in the fish before he spit him out! Jonah was caught up in a plan he didn’t care for I’m sure. Learning to pray for God’s will in our lives and those we love is challenging. I just want everyone to have their hearts desire. Forgetting that our heart misleads us many times. Love this friend. Great reminders today. Yes, the heart does mislead. So thankful God never does. Great post Kristi! Now, to remember His will is always best! I tend to forget. Yes, His will all the way. That’s courage Kristi. I’d probably just say yes. Good for you, and boy I’ll bet they didn’t forget that. Great post. They still talk about it. If only you could have seen their faces….I’ll never forget! God moment for certain. Such a great description of Jonah. I think it takes a great deal of humility to submit to God’s will. I loved reading this post today. Hi Kristi … praying these kinds of prayers of release seem so daunting at first. But they somehow get a bit easier as we see God hard at work on our behalf … and feel freed up from thinking we have to know what He should do. God’s plans are best. You’re right, Abby. Thanking Him for this post’s timeliness. Isn’t it funny how these link-ups are such ministry? Many have fed me over the weeks. #goGodgo So glad this one did for you. Love this – and love how you boldly encouraged your friends to pray a different prayer. It’s hard to pray for God’s will, instead of all the things we think we want – but He does have better plans for us than we can create on our own. What a great story, Kristi! We all try and pray “thy will” but then fear the unknown, so we go back to “my will.” How often I have to remind myself of God’s faithfulness when I’ve completely surrendered to him. Thanks for the reminder! Following you on #TestimonyTuesday and #RaRaLinkup.